Marvin Swartz, MD, is Professor and Head, Division of Social and Community Psychiatry at the Duke University School of Medicine and Co-Director of the Services Effectiveness Research Program. His research interests include psychiatric advance directives, mental health services for persons with severe mental illness, mandated community treatment, and outpatient commitment. In collaboration with Jeffrey Swanson, PhD, he is developing a web-based facilitation tool for completing PADs. Dr. Swartz was a member of the John D. and Catherine T. MacArthur Foundation Research Network on Mandated Community Treatment and was the CO-PI of the NIMH Clinical Antipsychotic Trials of Intervention Effectiveness (CATIE) for Schizophrenia. 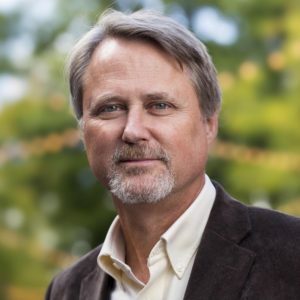 Jeffrey Swanson, PhD, is Professor in Psychiatry and Behavioral Sciences at Duke University School of Medicine. 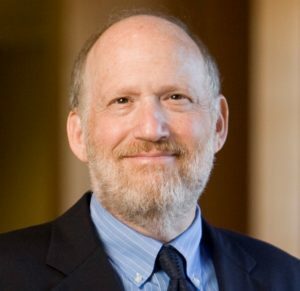 He holds a PhD in sociology from Yale University and is an expert in psychiatric epidemiology, mental health services and policy studies, and public health law research. His specific research interests include psychiatric advance directives (PADs), violence and serious mental illness, firearm laws, and mandated community treatment. Dr. Swanson was principal investigator of the first randomized trial of an intervention to facilitate completion of psychiatric advance directives, funded by a grant from the National Institute of Mental Health and the John D. and Catherine T. MacArthur Foundation. He was also the principal investigator of a recent randomized trial of the effectiveness of peer support specialists as PAD facilitators compared to clinicians serving on Assertive Community Treatment (ACT) teams, funded by the National Institute on Disability, Independent Living, and Rehabilitation Research (NIDILRR). In collaboration with Marvin Swartz, MD, he is developing a web-based facilitation tool for completing PADs. Dr. Swanson received the 2012 Carl Taube award from the American Public Health Association for outstanding career contribution to mental health services research. He serves on the Executive Committee for the Implementation of Virginia’s Health Care Decisions Act. He was a member of the John D. and Catherine T. MacArthur Foundation Research Network on Mandated Community Treatment, and a member of the Methods Core of the Robert Wood Johnson Foundation Public Health Law Research Program. Eric B. Elbogen, PhD, is a Professor in the Department of Psychiatry and Behavioral Sciences in the Duke University School of Medicine. 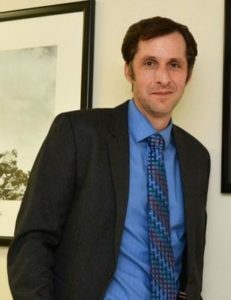 He is trained as a clinical-forensic psychologist and his current research examines issues in civil forensic psychology (psychiatric advance directives, representative payeeship, and competency to make treatment decisions) and criminal forensic psychology (violence risk assessment and management, legal decisionmaking of dangerousness, and reduction of restraint and seclusions). Dr. Elbogen is Principal Investigator of NIH, DOD, and DoE funded research examining the effects of Post-Traumatic Stress Disorder (PTSD) and Traumatic Brain Injury (TBI) on post-deployment adjustment among Iraq/Afghanistan Veterans, specifically violence, aggression, criminal justice involvement, and alcohol abuse. Dr. Elbogen also provides forensic and neuropsychological assessments at Central Regional Hospital in Butner, NC.